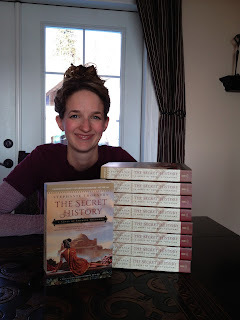 Stephanie Thornton: The ARC's of THE SECRET HISTORY Have Arrived! The ARC's of THE SECRET HISTORY Have Arrived! The ARC's of THE SECRET HISTORY! And there will be more giveaways in weeks to come! Hurray!